Welcome Dear Ones to a place where you can explore your own divinity; a place to find a balance within yourself which may reflect in the way you live your life! Happy equinox to all of you! Here we are, 9 months before the huge shift on December 2012. We can feel the new energy moving in our bodies. Aries is shining now, activating our cells to ascend, to shift dimensions and different paradigms, and granting us the possibility to start all over again, using this new creative fire impulse, to live consciously, in a slower rhythm, in a gentler way …with you, with others and Gaia-Mother Earth. It is time, to redesign our lives from the Soul source. Ego is dissolving, it is meant to be, Soul is growing. Feel this growing in your heart, time to grow in love and respect for yourself. This is the key for everything, the love you can develop for yourself. You are a being of light, you have a light body. You can recalibrate your energies and to align with who you truly are, to access the 5th dimension, where everything is perfect just as it is. Or you can fight and struggle and stay in the old world. You can choose. You can also choose your thoughts, this Aries time is about choosing, your thoughts control the energy flow within and around you. Whatever you think about determines how you feel and what you experience. Feel and allow Love to be a part of you in this moment. From any given moment in which you are living, you may expand that out until it infuses your entire being and your entire life. There has never been a more powerful time to do this light-work. 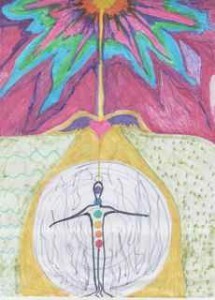 In December 2012 a new era will begin, ‘the Golden Era’, ‘the New Dream’, ‘the Heaven on Earth Time’ — different names from different cultures, but all offer us magical visions of the transformation and change to come; the start of this new era will herald a paradigm shift in consciousness and energy, a shift in the way we have operated in the world up until now. Ascended masters, teachers, angels and our family of light are uniting to help us so that we may complete the current cycle, our old way of living here on Earth. Ask for this help, invoice and receive it. It is time to let go of old ideas, beliefs and patterns of behaviour, breath in and out with this intention, it works! We can rebuild our lives, from the Soul effortlessly …can you really believe it? If you are willing to release disempowering thoughts, and the old way of living here on earth, hold the intention of being centered in peaceful power, decide to inhabit yourself as much as you can, feel it… you decide you command… claim this power. Ask for the presence of your Higher Self, the Holy Spirit, Love, your Soul your Divinity. Close your eyes and breath to your heart center. Land there with your mind. Receive the column of light filling your entire body and aura. Once you choose to fill your sacred space-temple-channel-physical body with light you will experience for yourself its transformational powers of dissolving illusion, ego, false belief systems, disease, inherited ways to live life . As you allow the energies of the Earth to flow back up within you, feel the essence of Gaia-Mother Earth and the essence of what it is to be wherever you are right now. Get ready to jump into this other dimension that is waiting for us! “When your chest is free of your limiting ego. You can not see yourself without a mirror. and cannot be seen or known to the mind. Previous post: Pisces full moon, receive magnetic energy! Next post: What could you discover during this full moon, Aries-Libra?